Venue: Kompleks Sukan Air, Precinct 6 in Putrajaya, Malaysia. 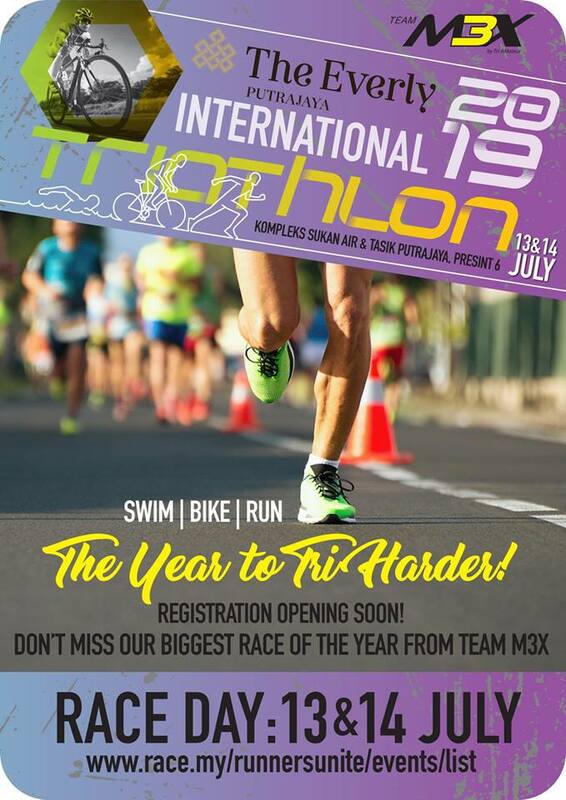 Organised by Team M3X from the TRI-AMateur triathlon club, save the date now for The Everly Putrajaya International Triathlon in July! Gather your training buddies to support our local Triathlon scene. This year, they will be introducing Discover the Mighty Stars 2.0, the new Fast & Furious Relay Category and both Sprint & OD Distances! These races will be suitable for beginners, from kids to adults as well. For more info, follow Tri-AMateur Club on Facebook here.